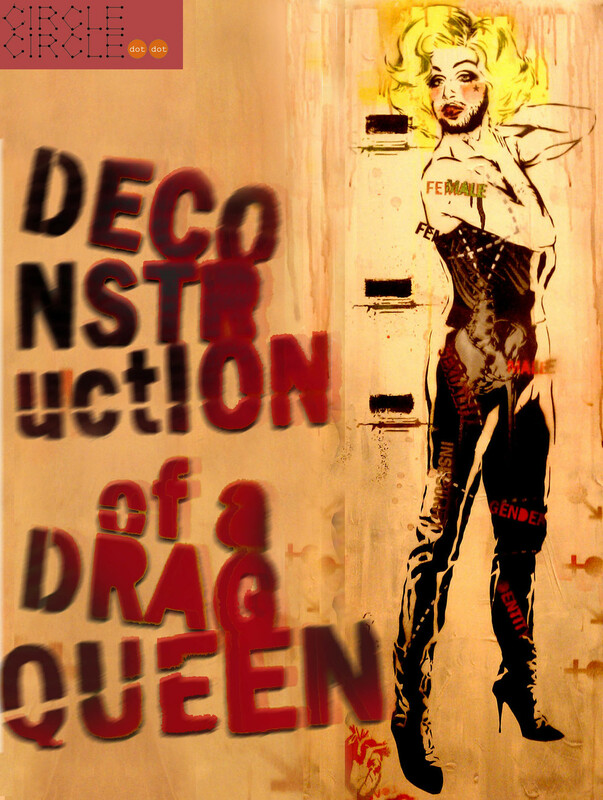 Getting into 'Deconstruction of a Drag Queen'! Thanks to our amazing supportive audience, outstanding playwrights and performers- last weekend's 'Love Roulette' fundraiser was a HUGE success. We went above and beyond our ticket sale expectations, and now we are in great shape to make 'Deconstruction of a Drag Queen' (Running April 6th-21st at the 10th Ave Theater) as flashy and fierce as our heart desires. Thank you a million times over. Now we can move on and kick off some behind-the-scenes info on our process for this upcoming production! We want to share with you some of the fun that has been leading up to our first rehearsal happening this Monday! Pictured from left to right: Julio Jacobo, James P. Darvas, Shaun Tuazon, Melissa Coleman-Reed, Kevane La'Marr Coleman, and Justin Warren Martin will all be performing in 'Deconstruction of a Drag Queen'! We are very fortunate to have all of them! This picture was taken by Rich Soublet at a very informal reading of a first-draft version of the script last Tuesday. We invited company, crew, and members of the community to hear and give feedback that will help us prepare to go into rehearsals with a more developed piece. Michael is amazing! The face used in these images belongs to the main source of inspiration for the piece- the sensational Grace Towers! Stay tuned for much more information on the production (it's running April 6th-21st at the 10th Ave Theater- tickets will be on sale this weekend)! Also- if you aren't connected with us on facebook, 'like' our fanpage today to stay updated on all the fantastic fun that is around the corner with CCdd! Find us HERE! Enjoy your weekend friends.